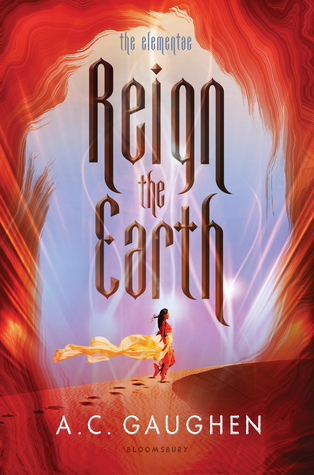 This week on WoW is Reign the Earth by A.C. Gaughen. This book gives me A Thousand Nights by E.K. Johnston vibes (marry a tyrant to save her land) and since it was one of my favourite books of 2016, of course I can't wait to plunge into this world. And, the cover is so pretty. *. * The book will be released on January 30th 2018. Pretty cover and lots of people enjoyed Scarlet so I bet this will be a hit too. I still have to read Scarlet, but I've read some great reviews. Maybe I'll find time to read it before Reign the Earth comes out. The last 1001 inspired read I read was great. I hope this one meets your expectations! Now, this I need to know more about! Thanks for the heads up! Lovel over and it sounds like a great book. Hope you enjoy it! I read about a fourth of this novel before I had to put it down due to scheduling problems but I was really enjoying it so I hope you love it! The cover is gorgeous. I´ve seen it quite a lot around lately. Might go on my wishlist *smile* Thanks for sharing. I love the sound of this one! It's been too long since I last read a fantasy novel. I can feel a fantasy mood coming on. Thank you for sharing! I hope you enjoy this one when you read it.